Match ends, Caen 1, Paris Saint Germain 2. Second Half ends, Caen 1, Paris Saint Germain 2. Attempt blocked. Yoel Armougom (Caen) left footed shot from outside the box is blocked. Corner, Caen. Conceded by Layvin Kurzawa. Attempt missed. Christopher Nkunku (Paris Saint Germain) right footed shot from outside the box is high and wide to the right. Attempt saved. 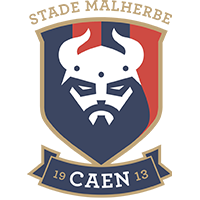 Casimir Ninga (Caen) header from the centre of the box is saved in the centre of the goal. Assisted by Faycal Fajr with a cross. Goal! Caen 1, Paris Saint Germain 2. Kylian Mbappé (Paris Saint Germain) right footed shot from very close range to the centre of the goal. Attempt blocked. Thomas Meunier (Paris Saint Germain) right footed shot from the centre of the box is blocked. Assisted by Kylian Mbappé. Attempt saved. Leandro Paredes (Paris Saint Germain) right footed shot from outside the box is saved in the bottom right corner. Assisted by Christopher Nkunku. Substitution, Paris Saint Germain. Eric Maxim Choupo-Moting replaces Dani Alves. Substitution, Paris Saint Germain. Juan Bernat replaces Moussa Diaby. Foul by Yoel Armougom (Caen). Substitution, Caen. Jessy Deminguet replaces Saif-Eddine Khaoui. Corner, Paris Saint Germain. Conceded by Ismael Diomande. Ángel Di María (Paris Saint Germain) hits the left post with a header from the left side of the six yard box. Assisted by Thomas Meunier with a cross. Goal! Caen 1, Paris Saint Germain 1. Kylian Mbappé (Paris Saint Germain) converts the penalty with a right footed shot to the bottom right corner. Attempt blocked. Casimir Ninga (Caen) right footed shot from the left side of the box is blocked. Assisted by Faycal Fajr. Penalty conceded by Yoel Armougom (Caen) with a hand ball in the penalty area. Casimir Ninga (Caen) is shown the yellow card for excessive celebration. Goal! Caen 1, Paris Saint Germain 0. Casimir Ninga (Caen) right footed shot from the right side of the six yard box to the bottom left corner. Assisted by Faycal Fajr with a through ball following a set piece situation. Attempt missed. Christopher Nkunku (Paris Saint Germain) right footed shot from outside the box is too high. Assisted by Layvin Kurzawa. Attempt blocked. Ángel Di María (Paris Saint Germain) left footed shot from outside the box is blocked. Assisted by Dani Alves. Hand ball by Faycal Fajr (Caen). Second Half begins Caen 0, Paris Saint Germain 0. First Half ends, Caen 0, Paris Saint Germain 0. Corner, Paris Saint Germain. Conceded by Jonathan Gradit. Attempt missed. Kylian Mbappé (Paris Saint Germain) right footed shot from the right side of the box is just a bit too high. Assisted by Dani Alves. Attempt missed. Kylian Mbappé (Paris Saint Germain) right footed shot from the centre of the box is close, but misses to the right. Assisted by Thomas Meunier following a fast break. Attempt saved. Ángel Di María (Paris Saint Germain) left footed shot from the centre of the box is saved in the bottom left corner. Assisted by Moussa Diaby. Attempt blocked. Ismael Diomande (Caen) right footed shot from outside the box is blocked. Attempt missed. Marquinhos (Paris Saint Germain) header from very close range is just a bit too high following a corner. Marquinhos (Paris Saint Germain) hits the bar with a header from the centre of the box following a corner. Corner, Paris Saint Germain. Conceded by Yoel Armougom. Attempt saved. Leandro Paredes (Paris Saint Germain) right footed shot from outside the box is saved in the bottom left corner. Assisted by Dani Alves. Attempt missed. Casimir Ninga (Caen) right footed shot from outside the box is high and wide to the right following a corner. Offside, Paris Saint Germain. Leandro Paredes tries a through ball, but Ángel Di María is caught offside. Attempt blocked. Ángel Di María (Paris Saint Germain) left footed shot from the right side of the box is blocked. Assisted by Christopher Nkunku. Corner, Paris Saint Germain. Conceded by Younn Zahary. Attempt missed. Christopher Nkunku (Paris Saint Germain) right footed shot from the centre of the box is just a bit too high. Assisted by Moussa Diaby with a cross. Enzo Crivelli (Caen) hits the bar with a header from the centre of the box. Assisted by Saif-Eddine Khaoui with a cross following a set piece situation. Attempt blocked. Ángel Di María (Paris Saint Germain) left footed shot from outside the box is blocked. Assisted by Kylian Mbappé. Attempt missed. Thomas Meunier (Paris Saint Germain) left footed shot from the right side of the box is high and wide to the left. Layvin Kurzawa (Paris Saint Germain) hits the bar with a left footed shot from very close range. Assisted by Ángel Di María with a cross following a corner.